Many companies see Corporate Social Responsibility (CSR) as an obligation. Thing is, CSR – especially the kind that requires employees to volunteer time — shouldn’t just be seen as another box to be ticked. It should be viewed as an opportunity, not just to help others, but also to improve the mental and physical wellbeing of your workers. We’re not just talking about those warm and fuzzy feelings we all get when we help other people either. It turns out that volunteering can have a real and demonstrable impact on a company’s employees. One of the most important aspects of volunteering when it comes to mental health is that it represents time away from the office. When you spend all day, every day at work, it can start to consume you. While taking time to volunteer isn’t quite the same as taking a vacation, it can often act as a timely reminder that there is life outside work. Importantly, it also acts as a reminder that the world won’t fall apart if we’re not at work for a single day. Small wonder then that in a 2013 survey, some 78% of US adults who volunteer said that it reduced their stress levels. A high-functioning workplace requires strong teams. Thing is, it’s not always easy to get individuals from different backgrounds, and with different interests, to pull together. After all, many of those people might feel like the only thing they have in common with their colleagues is their job. By taking the right approach to CSR, companies can give their teams a chance to bond outside the workplace. Why is that important for mental health? Well, feeling like a valued part of a team means that people are less likely to feel alone, something which is vital to mental wellbeing. And once you know that there’s a group of people who’ve got your back, you’re less likely to feel overwhelmed by stress when something goes wrong. We might not all be able to work in a profession that makes an active difference to people’s lives, but employees increasingly feel the desire to be at a company that at least tries to make a difference. That’s great, but even better for employees to feel like their pre-existing skills can help in making that impact. “For employees, it is deeply empowering to volunteer around a skill they already have or are looking to develop,” Andy Hadfield of volunteering platform forgood told us late last year. The link between physical and mental wellbeing is well-established. 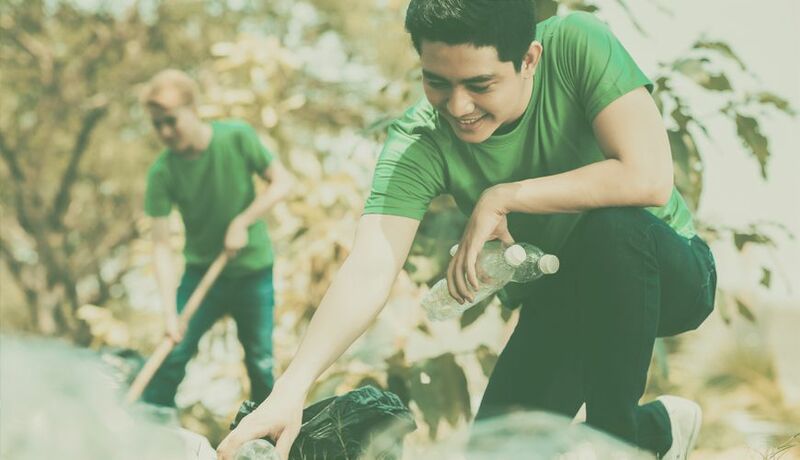 While many companies turn to wellness programmes to get their employees physically active, there is evidence that volunteering can further aid in getting people active. According to the 2013 survey we quoted earlier, some 76% of US adults who volunteer say that volunteering has made them physically healthier. The positive effects of volunteering on physical health are evident across age groups too. According to one study, people over 50 who volunteer have lower blood pressure than those who don’t. It’s important to note however that none of this holds true if you don’t give people the choice to volunteer. At that stage, it ceases to be volunteering and becomes work again.